Ladakh or the ‘Land of High Passes’ is a barren yet beautiful region located in the north Indian state of Jammu and Kashmir. 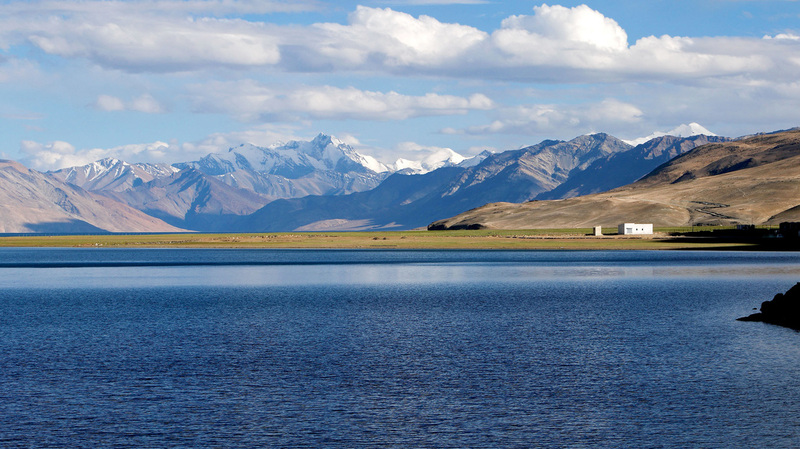 Sharing its east border with Tibet, Ladakh has Lahaul and Spiti to its south and the Kashmir valley to the west. Strategically placed on ancient trade routes, Ladakh lies between the Kunlun Mountains in the north and the Himalayas in the south. A majority of Ladakhis are Tibetan Buddhists the main inhabitants of the region are of Indo-Aryan and Tibetan descent. Since Ladakh opened its doors to tourists in the 1970s, its snowcapped peaks, the clear blue skies and the vistas of barren mountains broken only by blue meandering rivers has attracted many an intrepid traveler. Tourism is the main source of livelihood for Ladakhis. The scenic beauty, the rugged terrain, the majestic mountains and the challenge of roughing it out, has made Ladakh a favorite with mountaineering enthusiasts. The remote location and high altitude of Ladakh make is unsuitable for those looking for a quick holiday. You will need time to get acclimatized to Ladakh’s weather conditions. Ladakh is often referred to as 'little Tibet'. Having been part of British India, it was subsequently absorbed into independent India in 1947. Ladakh's geography protected it from the ravages of the Chinese Cultural Revolution as a result of which it contains one of the most intact Tantric Buddhist societies left on earth.With a high altitude desert dominated by rugged snow capped mountains and deep turquoise lakes it is one of the most picturesque places on earth.